Dr. Valerie Capers was born in the Bronx and received her early schooling at the New York Institute for the Education of the Blind. She went on to obtain both her bachelor’s and master’s degrees from The Juilliard School of Music. She served on the faculty of the Manhattan School of Music, and from 1987 to 1995 was chair of the Department of Music and Art at Bronx Community College of the City University of New York (CUNY), where she is now professor emeritus. Her outstanding work as an educator has been lauded throughout the country as being both innovative and impressive. 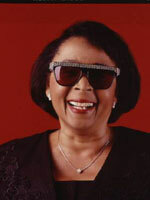 Susquehanna University awarded her the honorary degree of Doctor of Fine Arts in 1996, and Doane College (Crete, Nebraska) and Bloomfield (New Jersey) College (along with Wynton Marsalis) both awarded her honorary doctorates in 2004. Recent teaching and workshop venues include Doane College, Stanford University, the Cleveland (Ohio) public school system, St. Thomas (United States Virgin Islands) high schools, Brigham Young University (Provo, Utah) and the Mozarteum conservatory, Salzburg, Austria. Among the awards and commissions she has received are the National Endowment for the Arts, including a special-projects grant to present a jazz series at the Bronx Museum of the Arts, Meet the Composer, the CUNY Research Foundation, the Smithsonian, and The Fund for Artists of Arts International. Three of Dr. Capers’ most noted extended compositions are Sing About Love, the critically acclaimed Christmas cantata produced by George Wein at Carnegie Hall; Sojourner, an operatorio based on the life of Sojourner Truth, performed and staged by the Opera Ebony Company of New York; and Song of the Seasons, a song cycle for voice, piano and cello (which has been recorded several times) was both commissioned by the Smithsonian Institute and premiered in Washington, D.C., at the invitation of the Smithsonian, and recently performed at Weill Recital Hall in New York City. Dr. Capers has appeared with her trio and ensemble at colleges, universities, jazz festivals, clubs and concert halls throughout the country, including a series at Weill Recital Hall and the 2001 Rendez-vous de l’Erdre in Nantes, France. Her trio’s performances at the International Grande Parade du Jazz Festival in Nice, France, the Martin Luther King Festival in Ottawa, Ontario, and the North Sea Jazz Festival in The Hague received rave reviews. 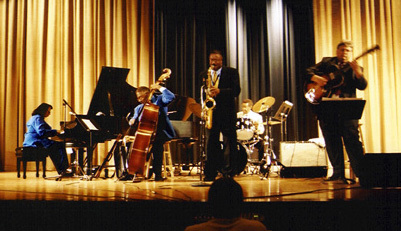 The group has also participated in the Monterey Jazz Festival, the Mellon Jazz Festival (Philadelphia, Pennsylvania), and New York’s Kool, JVC and Downtown jazz festival. Dr. Capers’ most recent 2007 performances include: a concert at the Salzburg Global Seminar, Salzburg, Austria; the World-Wide Plaza Summer Festival New York City; the opening concert for the Women in Jazz Festival for Jazz at Lincoln Center at Dizzy’s Coca-Cola Club New York City; the Gateway Music Festival Rochester New York; the Holiday Festival, the Empire State Building; and a Jazz at Noon Concert, the Empire State Building. She is also regularly heard in New York City at the Knickerbocker in Greenwich Village and the Lenox Lounge in Harlem. As a classical soloist, she has also performed Mozart’s “Concerto for Piano & Orchestra, No. 23” at the Pepperdine University Center for the Arts in Malibu, California. 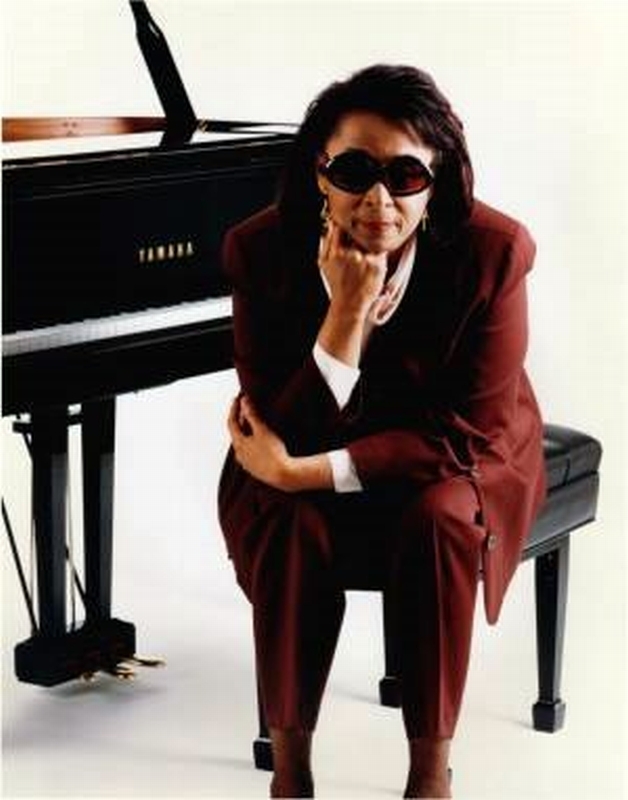 Throughout her career, Dr. Capers has appeared on numerous radio and television programs, including Marian McPartland’s Piano Jazz (1983 and 1998/2006–rebroadcast) and Branford Marsalis’ JazzSet. Adventures of Wagner in Jazz, a special program created by National Public Radio (NPR), and About Music (two separate programs, “Traditions and Personalities in Jazz Piano” and “American Composer and Piano Virtuoso: Louis Moreau Gottschalk”) were all broadcast on KBYU-FM in Provo, Utah, and carried throughout the country on NPR. She has also performed with a roster of outstanding artists, including Dizzy Gillespie, Wynton Marsalis, Ray Brown, Mongo Santamaria, Tito Puente, Slide Hampton, Max Roach, James Moody and Paquito D’Rivera, among others. Valerie Capers was the first recipient of Essence magazine’s “Women of Essence Award for Music,” where she was in the elite company of fellow honorees Oprah Winfrey and Marla Gibbs. Dr. Capers has recorded five albums: Portrait of Soul (Atlantic, 1966), Affirmation (KMA Arts, 1982), Come On Home (Columbia/Sony, 1995), Wagner Takes the ‘A’ Train (Elysium, 1999), and her most recent, Limited Edition (VALCAP Records, 2001). Her book of intermediate-level piano pieces, Portraits in Jazz, was published by Oxford University Press (OUP) in 2000. OUP has also published an arrangement by Dr. Capers of the English carol, “It Came upon the Midnight Clear” for mixed chorus a cappella. “Since leaving Bronx Community College, Valerie Capers (Prof. Emeritus), is now directing her time, creative talents and enthusiasm towards her own personal career. In this new-found time and freedom, Ms. Capers has already released two CDs. The first CD is “Wagner Takes the “A” Train”; and the second CD “Limited Edition,” which is a compilation of past radio broadcasts, club performances, concerts and festivals. In the months ahead, Ms. Capers will be working on her next CD. 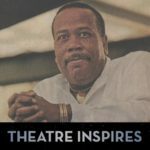 This project will bring Dr. Capers together with several of her friends and musical colleagues such as Sheila Jordan, Maxine Roach, Paquito D’rivera, Hubert Laws and others (to be announced later). 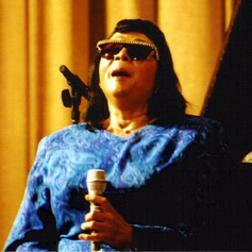 Valerie Capers performed with her jazz quartet Sept. 21 at Doane College’s Heckman Auditorium. Capers, who’s played at Doane before, was capping off a short residency and workshops with students with a concert for a very enthusiastic crowd. Her quartet included Alan Givens on tenor sax; John Robinson, bass; Earl Williams, drums; and Mark Marino, guitar. This veteran group, sans Marino, has been together for years and it showed from the first note. While Capers is a really fine pianist, she spends much time promoting and featuring her excellent companions. Opening with “Take the ‘A’ Train,” Givens led off, quoting “Exactly Like You” and displaying a great sound and wealth of ideas. Guitarist Marino followed with a Wes Montgomery-inspired, octave-building flight of his own. The leader showed her command of the jazz piano lexicon by incorporating bop, boogie woogie and much in between, all anchored by her tasteful chords from a very solid left hand. The bassist and drummer Williams each made their own statements as the song was brought to a rousing end. Horace Silver’s “Sister Sadie” was taken at a slower, funkier tempo than the original. Givens soloed first, followed by bluesy Marino, Capers and Robinson. The song ended with an interesting arrangement that showcased Givens at the finale. The trio of Capers, Robinson and Williams then played “Everything Must Change.” Although I was a little hesitant at the announcement of this really overworked number, it took on a whole new life with Caper’s great version. Moving from a Bill Evans feel on the theme, she took it into an up-tempo modal section interlude after the bridge that was really refreshing. Paying tribute to Ellington most of the evening, “Caravan” was up next, with drummer Williams taking the spotlight. He started on high hat and then snare, using space and dynamics to great effect, without losing the feel of the tune. Building up to a great climax, he worked the solo and the student-heavy crowd into a frenzy. Next up was seldom heard Ellington’s “Circle of Fourths,” which featured a whirling Givens on tenor and culminated with a nice cadenza. Givens, who received a standing ovation, is a real entertainer who seems to have a bit of Sammy Davis Jr. to him. Guitarist Marino was given the honors on “Prelude to A Kiss,” and he made the most of it with a finger-picking intro and melody. Switching back to a pick for his solo and going back to a beautiful chordal ending and a pretty ending and cadenza, Marino is a welcome addition to this group. More Ellingtonia commenced with a medley of “C-Jam Blues,” “Cottontail” and “It Don’t Mean a Thing.” “Cottontail” featured a two-beat stride piano section, taking off up-tempo at the bridge. “It Don’t Mean a Thing” ended the first set with great statements from Marino and Givens. The second set started with Capers, seated on a stool out front, singing an up-tempo “From This Moment On.” She then sang Strayhorn’s melancholy “Lush Life,” followed by “Nature Boy,” two ballads that picked up slightly during a rich Given’s solo on the latter. The combination of Caper’s relatively small voice, the slower tempos and the lack of her fine piano playing made this a really slow part of the evening after such an energetic first set. I think three numbers from someone of her vocal ability is a bit self-indulgent. She settled back in the piano chair for a breakneck ride on “Oh, What a Beautiful Morning.” This one was so fast that Marino, a chopsmeister, still turned the time around playing himself into a corner on his second chorus. Bassist Robinson was featured on “Mood Indigo,” and he wasted no time displaying his complete mastery of the instrument. Bowing, picking, slapping, playing chords and double stops to great advantage-not just for technical effect. This guy is solid as a rock. Finishing with “I Got Rhythm,” Givens quoted Blue Mitchell’s “Funghi Mama” and it was good naturedly picked up by the rest of the band. It wasn’t the first time they’d played it this way, but the group responded to each other so naturally that it could have been. A quote from the “Flintstones” theme brought down the house again, and only my fatigue kept me from sticking around for the encore. Valerie Capers presents a world-class jazz group that achieves its goal of keeping the tradition alive. Not having seen the group before I was very impressed by all members and by the nice crowd at Doane. The addition of Marino has added a lot to an already fine group, and it’s not every day that Butch Berman gets blown away by a jazz guitarist. This was a very enjoyable show and I would recommend seeing this group if you get a chance.